When I was first contacted about doing ELEAGUE, I was more than a bit concerned. Like many other people in the fighting game community, I’m generally a bit cautious when a newcomer steps in to put on an event of this size. Fighting games pride themselves on having a community built from the ground up, on top of grassroots events organized from sheer love for the scene, often at a large cost to whatever tournament organizer decided to rent out a ballroom that weekend. For fighting game players, the thought is, if we build everything ourselves, nobody can suddenly take it all away. 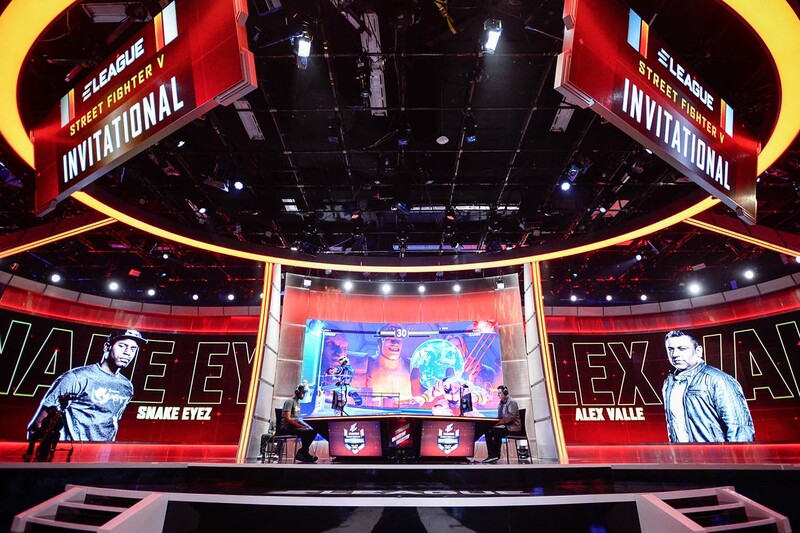 ELEAGUE is far from the first time the fighting game community has made the move away from hotel ballrooms. Many companies have tried to organize fighting game events that felt more like typical esports events. Some have done a great job, like the many productions Red Bull and ESL have done in the last few years. So when I arrived in Atlanta last Thursday for the first rehearsal and planning portion of ELEAGUE, I wasn’t sure exactly what to expect. For starters, everyone has been constantly asking for feedback about how they can do something true to the community. The biggest concern from the start is that they wouldn’t create something that really captured the spirit of the FGC. They encouraged us at every second to offer our criticisms, even if it would make their jobs more difficult. I can’t say they’ve been able to accommodate every possible change, but the lengths they’ve gone to have definitely surprised. Despite our feedback, the first day of ELEAGUE was criticized by many to feel like what FGC members feared, sterile. When fighting game players think of esports events, they fear the loss of personality from their favorite players, commentators, and an overall loss of the culture they care about. Now for day 1, I have to take the blame on commentary. We were encouraged from the start to be ourselves, but the process of learning the run of show, along with the show format, caused all of us to come out a little flat. Already viewers and community figures alike were put off by the direction the production was going. I’m excited about the future, because of how quickly ELEAGUE has adjusted. Within the next two days, the team was constantly willing to improve, no matter how small things seemed, to help create something fighting game fans could enjoy. Things like in game music being way too low and causing the commentary to sound hushed, playing music pre/post-match to eliminate the quiet studio feeling, using the Street Fighter themes between games, and finally adjusting the format to allow for multiple games between breaks. All of these changes happened so quickly and gave the commentators confidence in the production we were working on. Now I can’t pretend like there still aren’t issues with how things are going. I’d still love more matches between breaks, more costumes and colors would be fantastic, but for now it’s a production I’m happy to be working on. As someone who doesn’t mind spending every weekend inside a hotel ballroom talking on a stream, ELEAGUE is creating an additional product we can be happy about. I won’t go as far as denying that, “esports is not a part of the FGC”, but I’m willing to give them a chance.